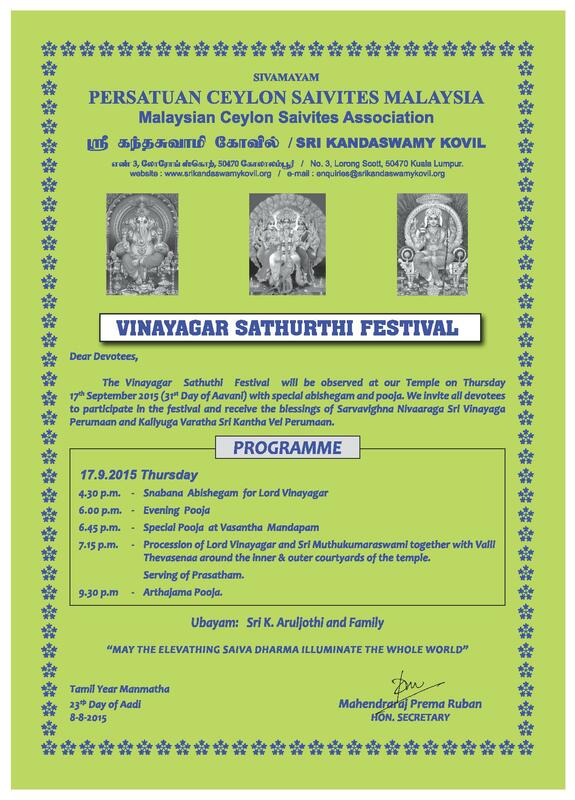 The Vinayagar Sathurthi Festival will be observed at our Temple on Thursday, 17th September 2015 (31st Day of Aavani ) with special abishegam and pooja. 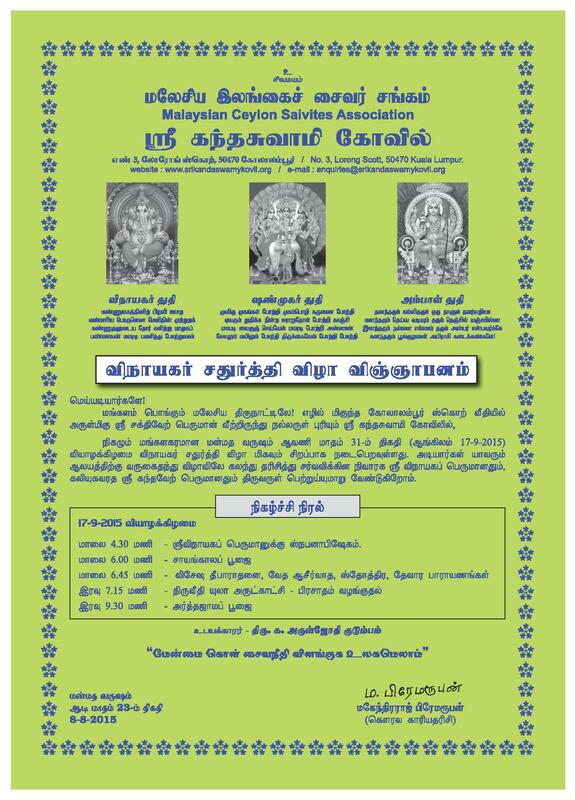 We invite all devotees to participate in the festival and receive the blessings of Sarvavighna Nivaaraga Vinayaga Perumaan and Kaliyuga Varatha Kantha Vel Perumaan. 7.15 p.m. – Procession of Lord Vinayagar and Sri Muthukumaraswami together with Valli Thevasena around the inner and outer courtyards of the temple.